8oz Pink Pump Cap (24/410) *2019 Limited Edition! 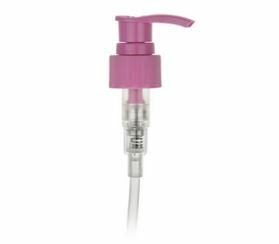 8oz Pink Lotion Pump Cap (24/410), Fine Ribbed, 2cc with a lock-down head. Features a 6-3/16" Dip Tube. THIS CAP FITS ALL OF OUR 8OZ BULLET BOTTLES!